Many Friday The 13th fans have lingering questions when it comes to certain scenes in the Friday The 13th films and none more controversial than the ending of Friday The 13th Part 2. The confusing ending which left Ginny calling out for Paul after he seemingly saved her life has been debated for decades. Was the ending a dream and what happened to Paul after Jason crashed through the window and grabbed Ginny? The Peter Bracke book Crystal Lake Memories interviewed writer Ron Kurz who said he intended the ending to be real and not a dream which lent even more confusion to the debate as the last few scenes imply differently. 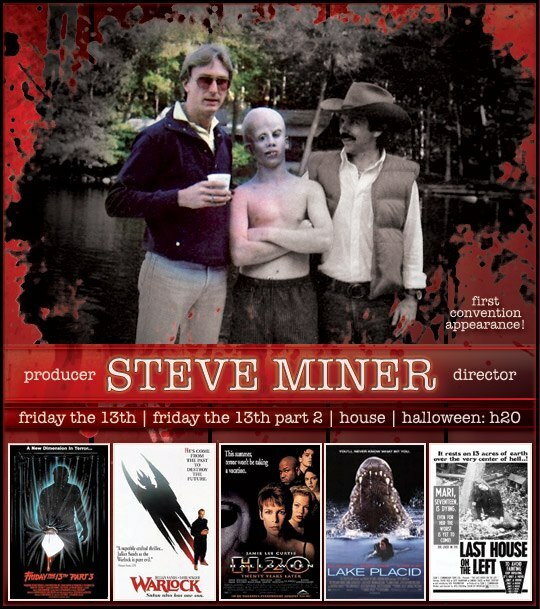 Well, Friday The 13th fans may finally get their definitive answer as Steve Miner, who directed Friday The 13th Part 2 and Friday The 13th Part 3 will be making his very first convention appearance ever at Horrorhound Indianapolis this September! Expect a very LONG line for the opportunity to meet and talk with the very sought after and elusive director who also made other notable genre entries such as House, Warlock and Halloween: H20. It was a real bummer that he would not participate in the new Crystal Lake Memories documentary, so this is the first time many people will be able to see him speak about his experiences with Jason Voorhees. Horrorhound Indianapolis takes place the weekend of September 6-8th. For more information, please visit their website horrorhoundweekend.com for when more information becomes available.